Welcome to our fashion color community. 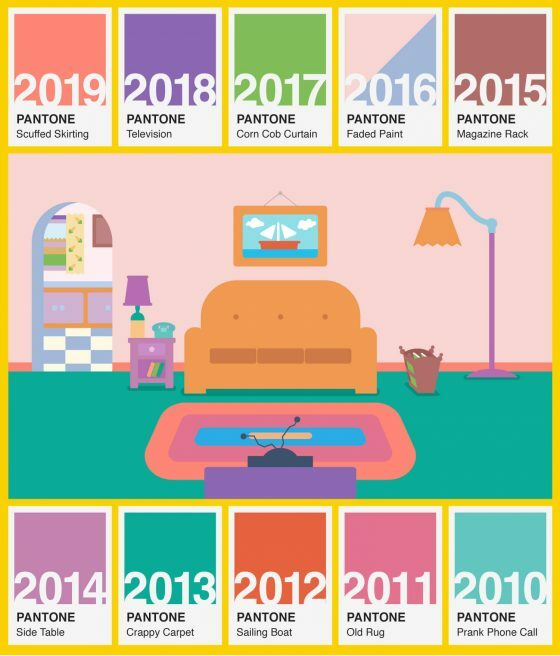 Here you'll find the latest fashion-focused Palettes and Patterns, as well as Blog, Trends and Forums to help you find the right look. So, it’s that time of the year again – your wife’s birthday is coming up and you are looking for the best way to express your love for her. A million ideas run through your mind and you just can’t decide on the perfect gift to sweep her off her feet. For any man out there, this can be a stressful situation – wanting so hard to make your woman feel special on her day but not knowing what to get her. You may have considered jewelry as an option because well, which woman doesn’t love jewelry? But not just any jewelry; we are talking about something different and unique – vintage jewelry. 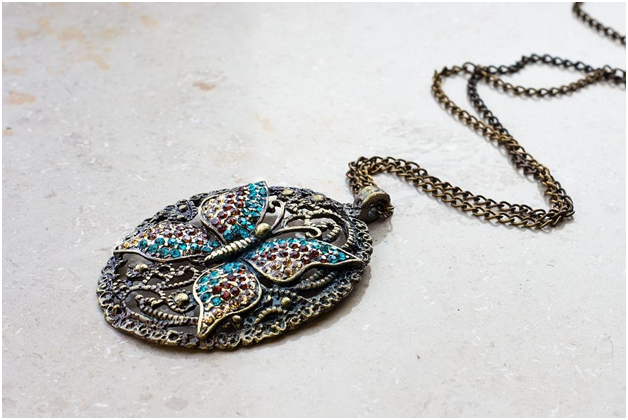 Just like many other past fashion trends, vintage jewelry is making a major comeback. Rich in style and history, vintage jewelry is timeless. Not only does it look stunning, but it also has the power to take you back in time. Every vintage piece is a powerful style statement with a story behind it. Since vintage jewelry comes in a variety of styles and shapes belonging to different eras, there is plenty to choose from. Whether you are looking for a beautifully hand-crafted bracelet or an elegant set of crystal earrings, you are sure to surprise your lady love with your choice. There are so many reasons why you can never go wrong with a vintage piece. In today’s era of mass production and standardization, it becomes difficult to find jewelry that is unique in its design and appearance. With contemporary jewelry, you are likely to find the same or very similar designs wherever you look. In the past, jewelry making was a different affair – each piece was beautifully handcrafted providing a lot of attention to detail. You will find each piece of vintage jewelry different from the other. 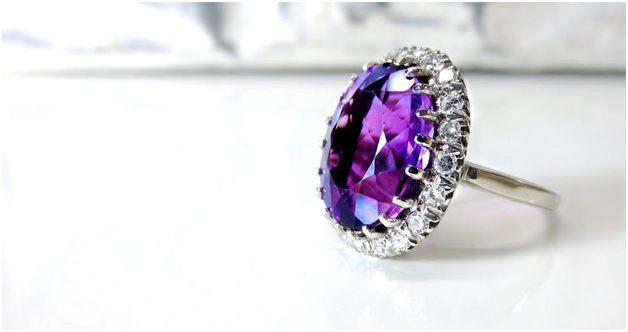 If your wife is someone who loves originality and standing out from the crowd, a vintage piece is sure to be a valuable addition to her jewelry collection! If we carefully inspect a vintage piece, we often find that it looks as good as new despite being made years ago. This is because vintage jewelry is often handmade, with each piece carefully crafted to last for years to come. You can see the amount of time and effort that has gone into getting every tiny detail just right. With a decline in the quality of materials available and a change in crafting techniques, very few manufacturers today can match the quality of an antique piece. If your wife is someone with an interest for everything historical, she is going to love owning vintage jewelry. 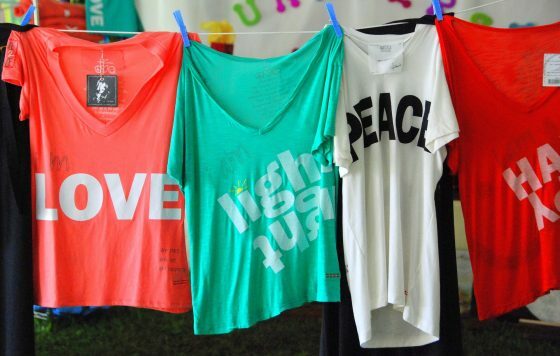 Every vintage piece takes you back in time to a different era and tells stories of the past. This is what makes this jewelry a lot more valuable than modern varieties. Some people may have the misconception that vintage jewelry costs more than its contemporary counterparts. Despite its growing popularity, there are many affordable options and with a bit of research, it is possible to find good value for money. 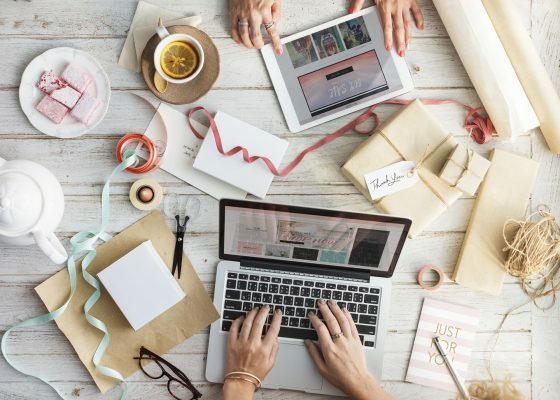 Buying online is a great option as you can take your time going over the options and find excellent deals by comparing prices of different vendors. So no more sleepless nights when deciding to buy your queen an exquisite birthday present. In the hustle and bustle of the world that we live in today, we are gradually finding ourselves returning to our roots and cherishing the beauty and simplicity of the good old days. This applies to jewelry too! Vintage never goes out of style; it is always eye-catching and helps one stand out from the crowd whether it is worn at a party or on the red carpet. Your lady is sure to turn a few heads while flaunting her vintage jewelry and she will love you for it! When buying vintage jewelry, there is so much choice that you are sure to find a piece that your wife will instantly fall in love with. A beautiful vintage ring featuring diamonds or stones is something that any woman would love to wear on a daily basis as a symbol of her man’s love. Choose from designs of the Georgian era that come with simple yet elegant floral designs or if you are after something more artsy, perhaps something from the Art Deco era will be more suitable. 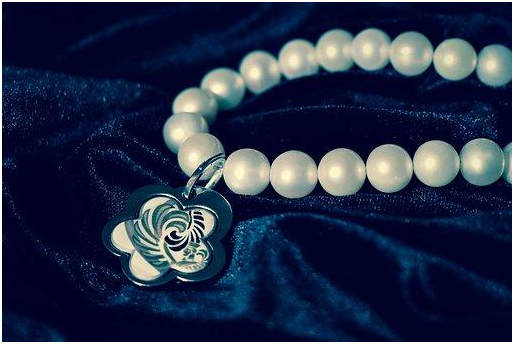 If your wife loves pearls, the classic pearl necklace – Pearls of Joy – is a fashion staple any woman would love to own as it’s the perfect accessory to add a touch of class and elegance to any outfit. Pendants are another great option – they are simple yet chic and definitely very much in style. A beautiful pair of earrings or a bracelet can also be bought depending on your wife’s preferences. Pay special attention to the kind of jewelry she usually wears so that you can buy something in line with her personal style. At the end of the day, a good birthday present for your lady is one she will remember and cherish for years to come. It is for this very reason that vintage jewelry is the ultimate present for the most special woman in your life on her birthday. No woman will be disappointed receiving a stunning piece of jewelry carefully selected by the man she loves. It is timeless – a good piece of jewelry will be of value now and forever. And the best thing is, there is a style to suit every personality. Whether your wife is a minimalist or someone who loves making bold fashion statements, you are sure to find a piece that will make her feel loved on her big day! If, in the past, a teacher’s dress code was quite restrictive, this has changed over the years. To that end, today, teachers enjoy the liberty to dress as they please. Still, it’s worth taking into account that the way in which a teacher dresses is important for several reasons. For one thing, in this position, the students look up to you and might take you as an example. This is why, to a given extent, a teacher’s choice of clothes will impact other people’s impressions. However, far be it from us to argue that being a teacher entails wearing boring clothes. This is the type of outfit you couldn’t possibly go wrong with. It is chic, classy and effortless – allowing you to feel confident in your own skin without drawing too much attention to your clothing. 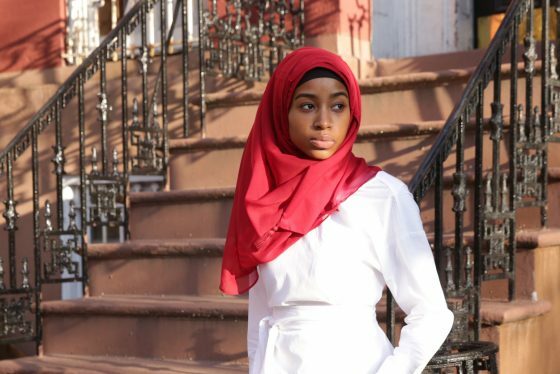 Expressly, this is the type of clothing you should invest in: high-quality jeans that suit your figure, which can be easily paired with blazers, sweaters, so on and so forth. You can add accessories such as a scarf or a hat to make the outfit more polished! Another suggestion might be wearing simple, basic pieces and combining them to your liking. For example, the outfit above features a simple combination of pieces, but, when put together, it looks really nice and chic! Most importantly, this is the type of outfit that combines respectability and decency, whilst still allowing you to showcase your style. Did you ever notice that the outfit you wear might also influence your overall mood throughout the day? This is, without a doubt, true, and it is applicable to teachers as well. Therefore, you may consider diversifying your outfits by including some dresses, as well. The more colorful, the better! You may also accessorize the dress with a belt, as it is the case in the picture above, or keep it simple. It’s entirely up to you. This is another type of outfit you cannot possibly go wrong with. It is more than perfect for spring time. You can always play with different textures and colors, depending on your personal style and preferences. And one more thing; if you want to tone your outfits down, so that you don’t look too dressy, you may choose a pair of loafers or flats as opposed to heels. The same goes for the bag, which may be one of the best teacher gifts, as it is versatile as it is stylish. Many people refrain from wearing pastels and prefer choosing darker hues of color. But why not try to experiment with different colors? This might trigger your inner creativity whilst giving you confidence – the confidence you will later on instill to your students. Here you have it – five outfit suggestions you can try if you want to spice up your wardrobe! Don’t be too afraid to experiment with different styles! Nothing entirely comes close to the excitement of packing off to campus for the first time, and it gets even better once you realize that you now have your private space-with no parents around! Unfortunately, though, university bedrooms are not a sight to behold. Not only are most of them dull, but also unfavorably drab. Nonetheless, don’t let it dim the light of your spark! 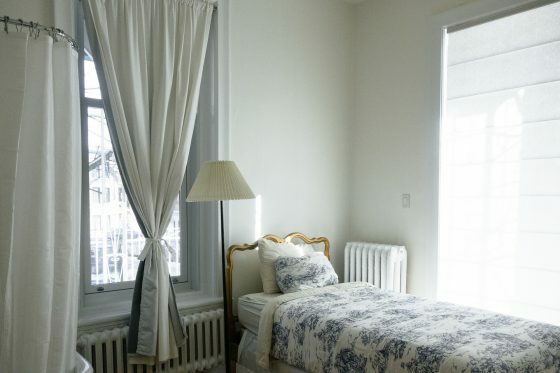 With a few easy tips, you can transform your otherwise dull dorm into a stylish and dashing new abode in no time! 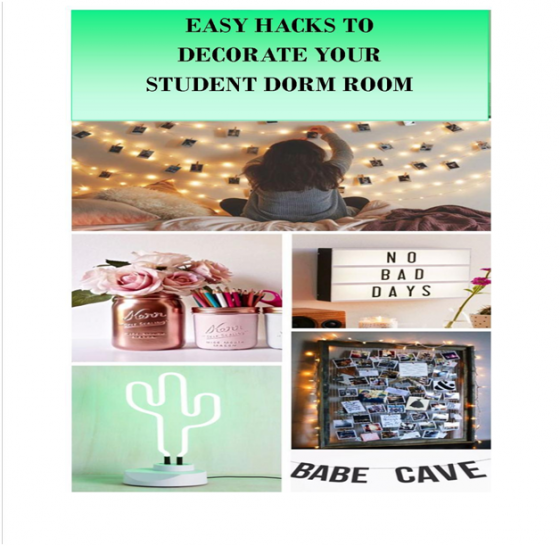 Below are some easy hacks to decorate your student dorm room and make it picture worthy. What is perhaps among the easiest ways of making your room extra cozy is the use of fairy lights in brightening up your space. For more adventure, you can go with neon lights. With the fairy lights, you can drape them around your room or use them to hold up photographs with pegs. It is no brainer that as a student, you have a lot of things to remember including exam dates, essay deadlines, and even class hours. Even so, while you could have your room stacked with post-it notes, you can go the relatively neater option of creating a deadline board. If you only get a little more creative, you can transform virtually anything to hold your possessions. For instance, you can modify a small stepladder to a delightful storage feature with some attention and love. If you have a bookshelf with a plain panel, you can customize it by adding some of your photos into the empty spaces behind your books. Simple, innovative measures can transform your drawer space to make it look both attractive and organized. You can take dividers for instance and quickly spice up a sock or underwear drawer instantly. Make your own removable wallpaper. While this one sounds quite ridiculous, take a moment and understand what it means for you. 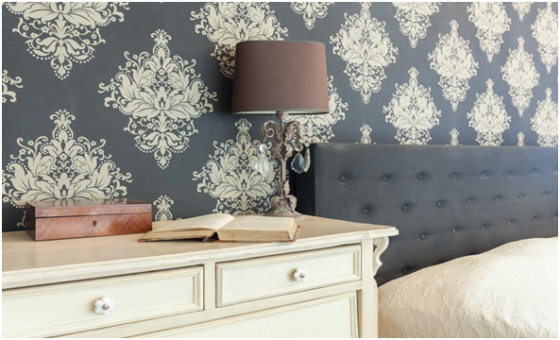 Word is that you can create temporary wallpaper by using just plain fabric sheets and liquid starch. Imagine that! Surprisingly, all you need to do is pick your favorite material (choose a wacky color) and get a sponge roller to stick it up using the liquid starch! Luckily for you, in case you need to move out, all you need to do is peel it off! 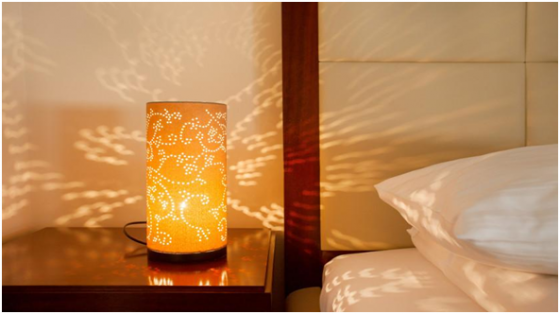 You can personalize virtually anything-including plain lampshades. Once you poke holes in the lampshades, you can project any pattern you wish across your room. While it is exciting to get a room on campus, the disappointing thing is that you can have an awfully dull bed staring at you once you arrive there. However, if this is the case, you can create your own headboard to give it a light touch of personality. Luckily, all that is required of you is to make a trip to the closest hardware outlet and pick up a plank of wood. You can decorate this plank with fabric, light, or anything else you fancy. If you don’t know what a Washi Tape is, it is a remarkable Japanese masking tape which is not only reusable but also removable! These characteristics render it suitable for numerous diverse roles including creating removable wallpaper, design photo frames, not to mention what is perhaps the most captivating functions, creating pineapple-themed wall art! Spice up your bed by pilling up some cozy, patterned, and colorful cushions on it. Any cushions with quirky or eccentric design or slogan cushions can spark some life to your bed area. You can also get adventurous with shapes, prints, or even sizes which contrast against your bedding to make your space pop up with a remarkably cozy bed! You can check out Etsy for these and much more selections to suit any student room. If your room has an open wardrobe that features a visible hanging rail, the whole setup can look quite messy in an instance especially if you are using a load of mismatched hangers. 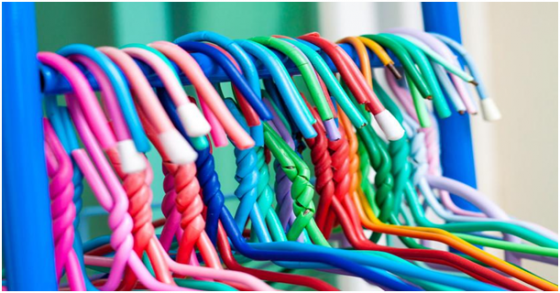 Alternatively, you can decide to purchase a set of relatively cheap hangers and proceed to tailor them to match your room. You can add sequins, and either spray paint them with gold to a chic touch or cover them with fabric. While there is nothing much to this little trick, adding some plants across your room is a simple way to spark some life into your room. What’s more, this trick comes with a surprising assortment of health benefits such as making the air cleaner as well as enabling you to study better (for real!). Jade plants, rubber trees, not to mention rubber trees are some few examples of simple to maintain plants you can start with. One of the simplest ways to land a personalized, unique rug is just to paint one. You can find an assortment of cheap rugs in thrift shops as well as numerous other secondhand outlets which you can use. However, for the best results, go for one with a relatively low pile. As you will discover from various sources and surveys, college life is quite a buzz and crucial, and the load you get in school in order to enroll can be so enormous that it’s difficult to keep up. That' why students turn to numerous online essay writers who can get your assignment done for you with ease and on time. Nonetheless, this is not to say that you still can’t invest in a desk to do your research or review your custom essay. If you have a desk in your dorm room, it does not hurt to make this place worth sitting at. You can spruce up the desk area with photos, colorful lanterns, or even plants. If you want to attach items to your room wall, you can try the UHU white tack as it doesn’t leave any stains. Are you fed up of the fittings which came with your dorm room? If so, there are numerous easy ways you can follow to spice up things a little bit. To start with, you can unscrew handles on old furniture such as your drawers and screw in some new ones of your choice. The options are unlimited, but be sure to put back the old handles once your tenancy is over to avoid getting in trouble! It is no brainer that you, of course, have a phone, or even a tablet and a laptop…right? Each of these gadgets needs to charge regularly. With such a tangle of wires, it is very easy for the electronic cables to pile up and become unsightly. However, we have a solution to it; create your own charging station. It is surprising how easily things get tidier without all these wires entangled around the room. 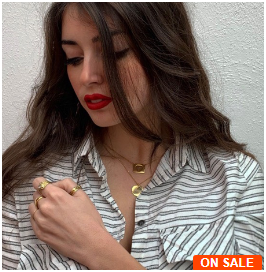 2019 has observed a rising trend in jewelry that has moved away in the far more preferred chokers and sautoir necklaces of 2018. Jewelry that stands out in the crowd, which is bold and embellished have become the should have pieces of this year. Observed on numerous red carpets, the A-list globe has embraced these should have pieces from the moment. Listed below are just five jewelry trends that have set 2019 on fire. 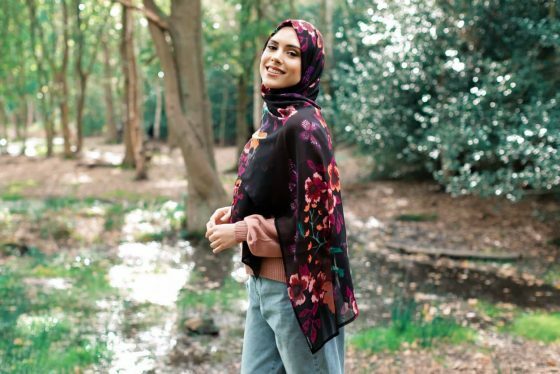 The latest trend inside the world of models, musicians and social media it-girls, is definitely an effortless style to pull off. The layered necklace appear is brash and bold and pretty popular. Without the need of the must acquire anything new, you can produce this appear by utilizing your old necklaces from yesteryear. Gold chained, vintage or studded, the style is versatile sufficient to be used with a range of necklaces. Readily available inside a multitude of colours and styles. The tassel earring could be the must have trend for 2019. Observed around the ears of many a Hollywood starlet, they give the wearer a unique and bold appear. 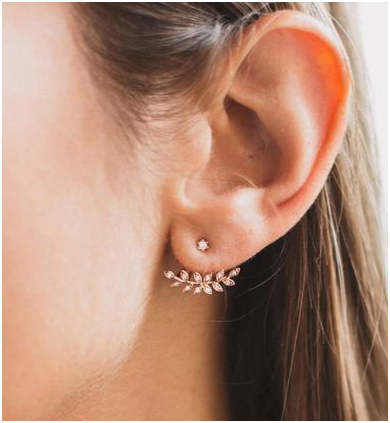 With several web sites providing ways to generate your pretty own DIY set, the tassel earring is an straightforward technique to look both fashionable and save on revenue. Uncomplicated and understated, however diverse adequate to stand out. The bar necklace is actually a versatile piece of jewellery for your collection. 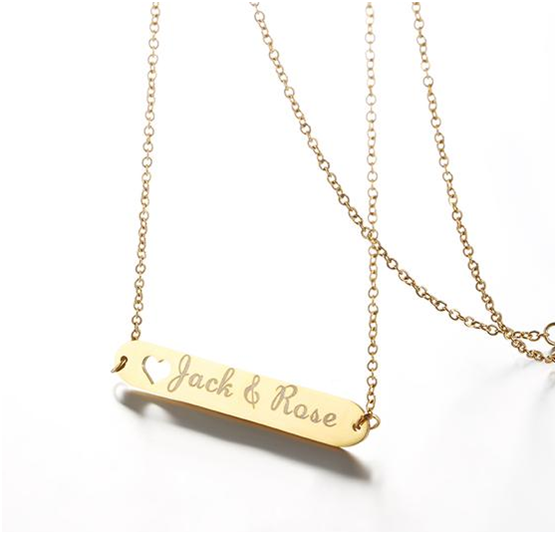 Coming in many shapes and types, the necklace might be as extravagant or as straightforward as you like, and may even be engraved as engravable jewelry for that custom look. Observed about the necks of some of hollywoods most elite, from Emma Watson to Jennifer Lawrence, the bar necklace tends to make for a fantastic every day accessory. A uncomplicated ring on its own doesn?ˉt make a great deal of a statement, but a complete ring set shows a uniqueness to your style that will have others staring in envy. 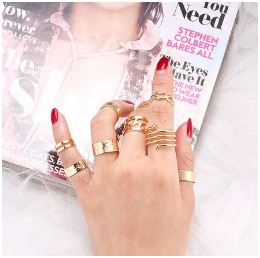 In whatever colour you favor, a ring set in your fingers will provide you with the confidence of an A-lister. A well known jewelry piece for brides around the country, the stud earrings make a massive statement. Intricately crafted and dazzlingly wonderful, they come in a huge selection of components and designs, from kundan to polki. The stud backed earrings are this years have to jewelry piece for finding married. 2019’s jewelry trends have seen a lot of styles emerge. All of which make significant statements, with out ever overdoing it. From the extravagant stud earrings, towards the straightforward and versatile bar necklace, 2019 has been an excellent year for searching confident and standing out from the crowd. Creating the perfect living space is a smart balance of colour and coordinating furniture and the bedroom is no exception. Your bedroom should be the perfect space for relaxing and sleeping and therefore should get something of a priority when it comes to decorating. There is nothing relaxing about trying to sleep in a mishmash of colour and clutter, so it is time to take control and get your bedroom up to scratch. Bed SOS has some great ideas for making sure your bedroom is the perfect space. There are lots of great themes for the bedroom but remember that colour can change the mood. Bright and acidic colours are perfect for living spaces but as a bedroom can make it hard to switch off and relax. Softer, muted colours work well in a bedroom with perhaps a splash of brightness on a feature wall. So, your first challenge is to pick your colours. Blues, purples, cream and chocolate all work well in a sleeping environment. You could opt for plain walls, and patterned curtains and duvet cover or vice-versa but again there is an argument for keeping it chilled and mellow as loads of patterns and colours can send the brain into overdrive and make it much harder to sleep. In most rooms, the bed will be one of the most significant pieces of furniture. Certainly, in a room with a kingsize bed, you are looking at a large bed that can either make or break the whole look and feel of the room. There is such a wide selection of bed bases on offer that you have scope to really personalise and set the scene. Wooden bed frames tend to be more imposing that metal so if space is a premium you might want to consider opting for the latter. A divan bed is designed for practicality, and often they are not the best looking, but these can be hidden with valance sheets. Bed makers are getting on board with the idea of using the bed to make the internal decor work better, and therefore you will find a range of coloured beds in various finishes. Velvet beds have enjoyed a run of popularity and feature upholstered frames in a variety of colour to give the room an opulent look. The other useful features of many bed frames are the storage they offer, so as well as finding the colour and style of bed that best compliments your decor, have a think about storage. Whether you opt for an ottoman bed or one with drawers you can really make a room look bigger by removing clutter into the storage offered by the bed. This gives you space to store clothing or other things that you struggle to accommodate, and the room look is not impeded in any way. With so many different styles and colourways on offer finding the perfect bed to match the colour scheme of your room should prove to be a fun and enjoyable activity. When it comes to getting started with creating stunning designs, two things are necessary: skills and resources. However, for starters, graphic design can all seem a little too overwhelming at first. 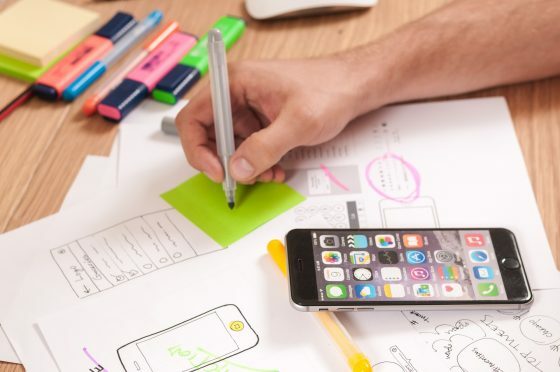 From long hours of practice to an unending need for creativity; not to mention some graphic design resources cost a pretty penny, it can sometimes become an uphill task for novices. But that shouldn’t deter you from creating stunning designs. As a matter of fact, there are plenty of amazing freebies and affordable tools that can help you get the head start you need to become a veteran designer. Plus, with the right skills, you can be a master in the game without even trying. In this blog post, we’ll highlight 5 things that you need to master in order to get an edge in creating stunning designs. Sound good? Let's dive right in. Here’s the blatant truth: No matter how amazing your designs are, it's pretty much pointless if they don't make a good first impression. That is to say, if people don’t like what they see at first glance, then you’re probably not going to wheel in as many people as you would want. So it makes perfect sense that we would mention the UI design here. 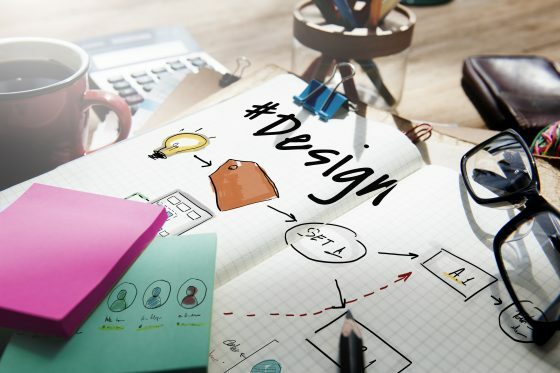 The truth is, UI design is pretty much a necessity when it comes to the graphic design front. So, it’s good you have all your bases covered in as far as skills go but every other graphic designer does too. So you need to ensure that you have an ace up your sleeve. If you make a good first impression, then whatever you call to action has a higher chance of being acted on. Don’t take chances! You need to be able to create stunning designs every single time. But you and I both know that it’s much easier said than done. Not to mention your audience is a bit more particular and will often times shun blatant designs almost as soon as they see them. Therefore, you need to create compelling images. Images that will create a connection between you and your audience. Images that will ultimately convert your audience into customers. But how do you do that? Fortunately, there’s no shortage of tools to help you create stunning designs. And one of the best in this front is Photoshop overlays. Photoshop overlays are one of the most versatile ways to transform the look and feel of your designs. 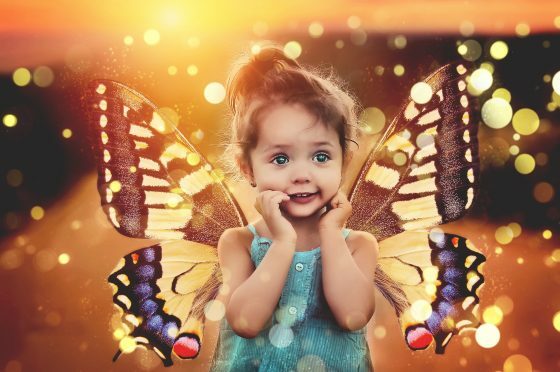 With photoshop overlays, you can add texture and elements to an image and transform an otherwise uninspiring image to a stunning piece of art. So whether it's a stunning fog effect that you are looking for or a whimsical autumn, fairy garden or falling leaves effect, there are literally dozens of themes to help you create the perfect design. If you’re looking to create stunning designs, then you definitely need to master photoshop overlays. It goes without saying Lightroom presets are yet another resource you need to master in graphic design. From nitty-gritty aspects such as image exposure and white balance to more complex aspects such as curves, tones, and shadows. Along with ensuring that you create stunning designs from the onset, Lightroom presets have a lot to offer. Also comes in handy later on when you want to ensure that the final piece is nothing short of a stunning masterpiece. And the best thing about Lightroom presets is that they’re pretty easy to master. Next up is typography. 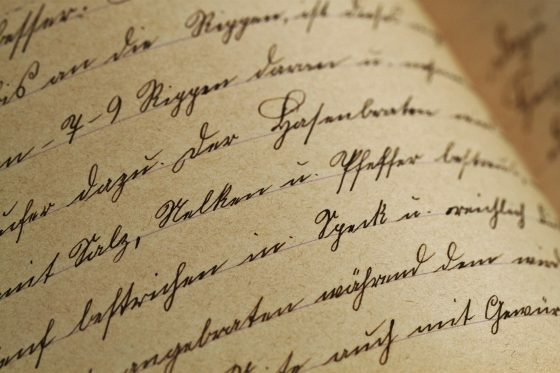 Typography is basically the art and technique of arranging the visual component of written words to make written language more legible. If you want to master typography, there are lots of typography tutorials to help. However, good typography often comes down to creative intuition. Once you grasp the basics, all you need to do is look for typography resources that will help you further sharpen your skills. Here are some typographic considerations that you’ll need to take into account when mastering typography. Typefaces are not created equally. Some are wide some fat, some are narrow and yet others thin. So word sets in different typefaces take up a different amount of space depending on the size. Tracking here relates to the spacing of characters applied evenly whereas kerning is basically adjusting spaces between characters to create a harmonious pairing. Here is another thing that you need to master to create stunning designs every time. In many forms and instances, the logo is what distinguishes a particular company from the other. Think about Guinness, Coca-Cola, McDonald's, and KFC. They are all visually represented by their logos. It doesn’t matter where they are in the world customers will still flock towards the direction that these logos are. The truth is, the importance of a logo cannot be underestimated. They not only help identify a company but they are also a succinct and efficient way of communicating more about the company. Which means that the designs have to be both intuitive and stunning to wheel people in. And since it’s something you’ll probably be doing a lot of, it's definitely one of the many things that you want to master to perfection. Don’t let yourself be overwhelmed by the number of graphic design skills you need to master to create stunning designs. Sure there are plenty more things that need to be mastered but these five are the most important. The bottom line is to ensure that you have mastered every aspect of photoshop overlays, typography, Lightroom presets, logo designing and UI design to come up with stunning and striking designs every time.